Register as user - Submit proposals - Prepare your beamtimes etc. 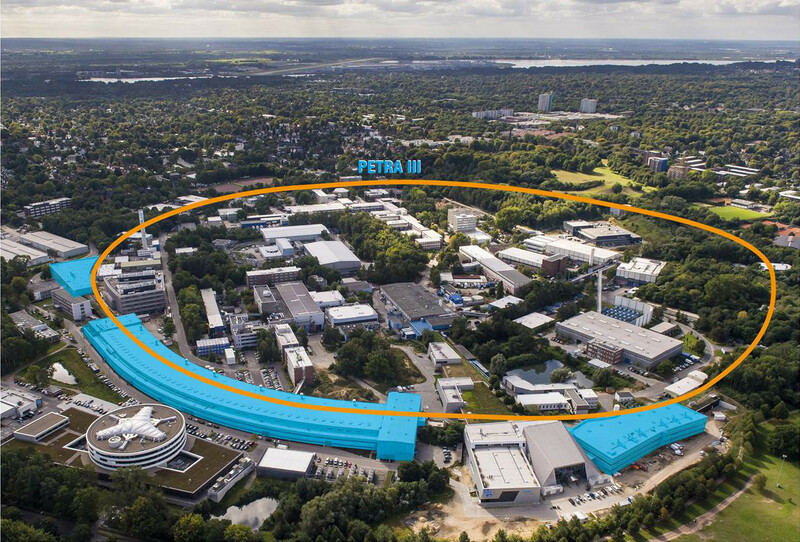 The high brilliance 3rd Generation Synchrotron Radiation Source at DESY: PETRA III. With a circumference of 2.3 km PETRA III is the biggest and most brilliant storage ring light source in the world. In 2017, 17 beamlines are available for users. Aerial view of the three PETRA III experimental halls ‘Ada Yonath’ (left), ‘Max von Laue’ (curved building in the middle) and ‘Paul P. Ewald’ (right, adjacent to the two FLASH halls) in September 2016.